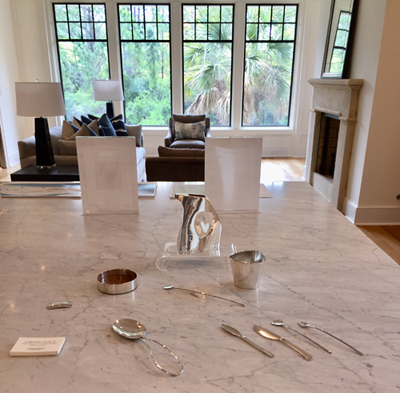 Recently for several exclusive groups I have done a private trunk show, so I decided to highlight one I did last week at a Kiawah Island, SC residence on my website Blog. 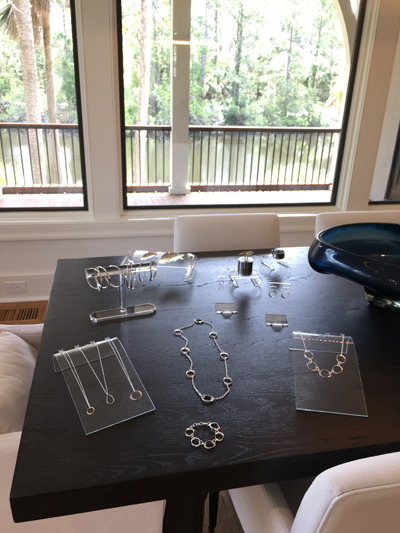 I was invited to display for sale my handcrafted silver jewelry and functional home objects in the stunning home featured in these pictures. 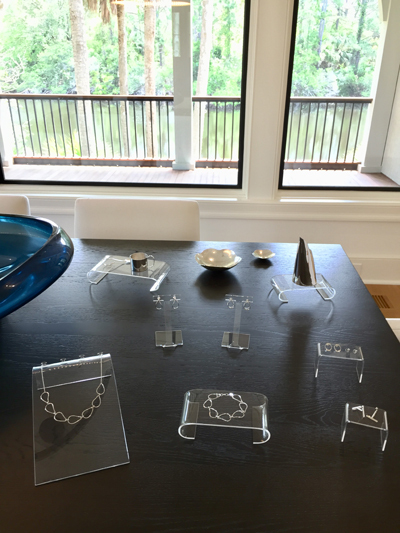 It was the perfect clean, contemporary setting for my silver pieces! 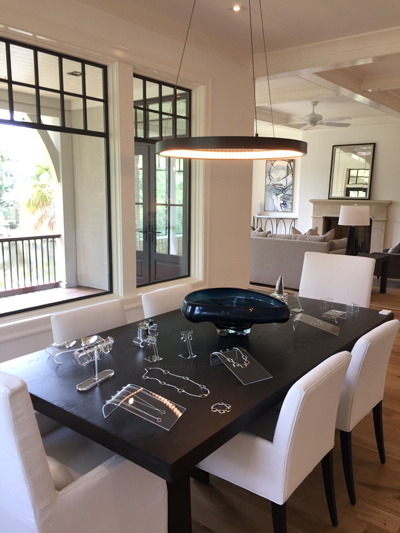 The group who invited me to do the unique presentation asked me to set up my silver designs throughout the gorgeous dining, living, and kitchen spaces. 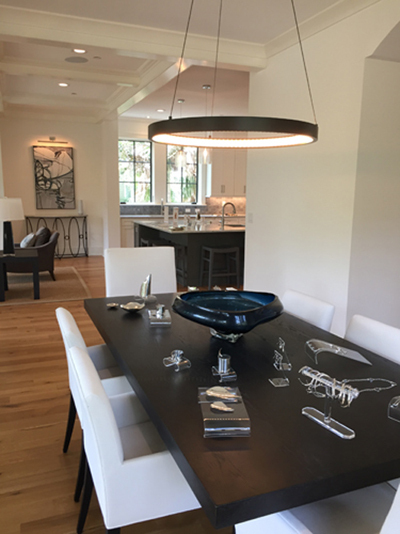 They loved seeing my jewelry and functional objects in this elegant home setting and my design aesthetic harmonized wonderfully with it. 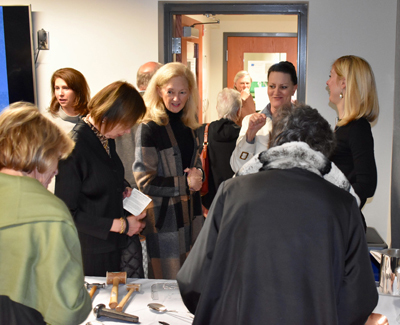 The guests were able to peruse my work, discuss it and my handcrafted process with me during the event. As I do with most of my lectures, I brought a selection of my tools and silver works in progress to illustrate how I create my pieces from silver sheet and wire. The majority of the time, people only see the end product, so by incorporating the tools and in process pieces, I add an educational component to my presentations. They very much enjoyed seeing the works in progress along side the finished items! 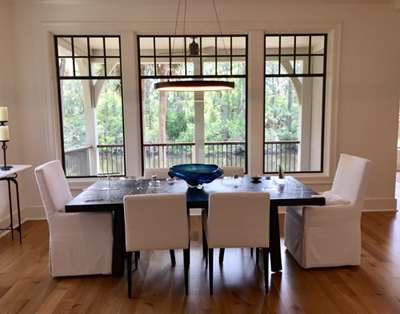 The home overlooks a gorgeous lagoon you can see from the expansive window views, open floor plan, and porches. The immense amount of light coming in through the numerous windows created a lovely illumination over my display and made my silver pieces really sparkle! 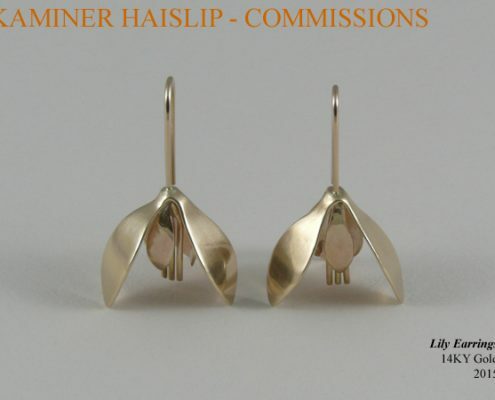 I very much enjoy sharing my silversmithing work and doing a private trunk show. 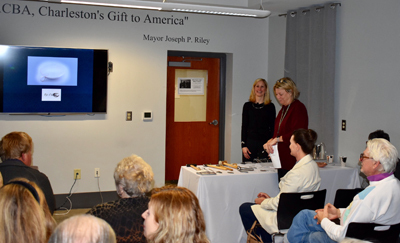 I welcome inquiries on how to bring my silver presentation to your special group, so please feel free to email me at kaminer@kaminerhaislip.com for details and fees. Thank you for your interest in my work! I am constantly asked how I make my silver pieces, so I am highlighting some of my processes on my website Blog to give insight into my handcrafted techniques. 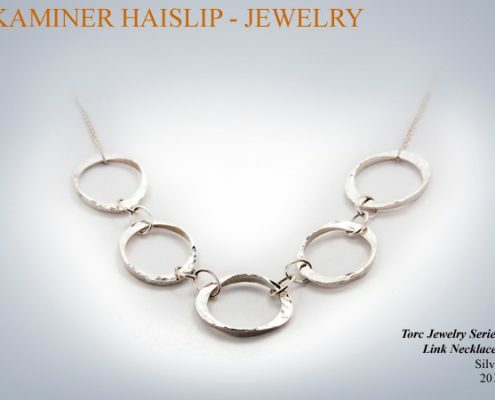 All of my designs are created with sterling silver sheet and wire through skilled fabrication techniques. 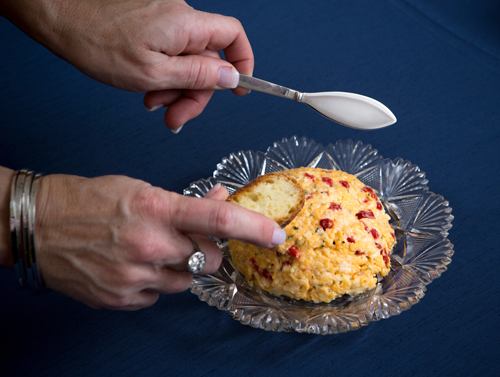 Each object is made individually by my hands and I do not use casting or other mass manufacturing processes. For this blog post, my forged silver cheese knife illustrates one way I use forging in my silversmithing work. Forging is a traditional metalsmithing technique that moves the metal by hammering the surface, and I mainly use this on flatware and utensils, because it gives the silver immense strength. 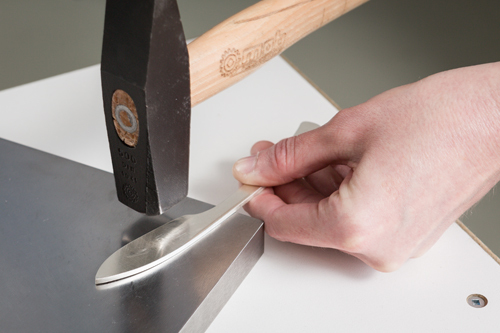 Using a heavy hammer, forging stretches the metal and creates tension and toughness at the molecular level. Durability is of the upmost importance for functional objects and silver gains enough strength to hold its form precisely when work-hardened. 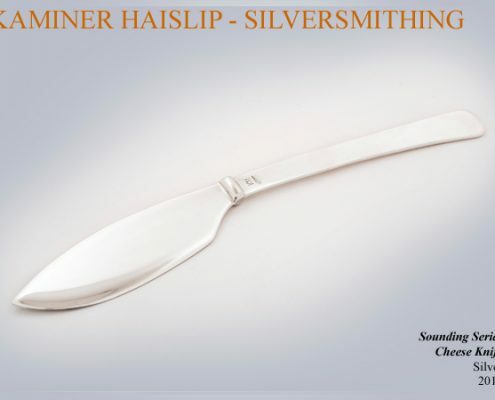 Additionally, silver’s natural antiseptic properties make it the ideal medium for flatware and serving utensils. 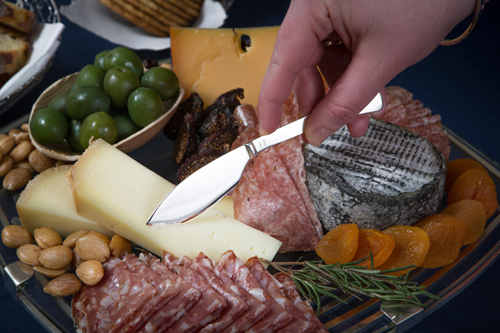 I begin my cheese knife by forging the shape from thick, solid sterling silver sheet. The blank begins smaller than the final form because it enlarges and expands during the hammering process on the dense steel block. Next, I work the blade with a large planishing hammer to smooth the deep forging marks out of it and further refine the shape. 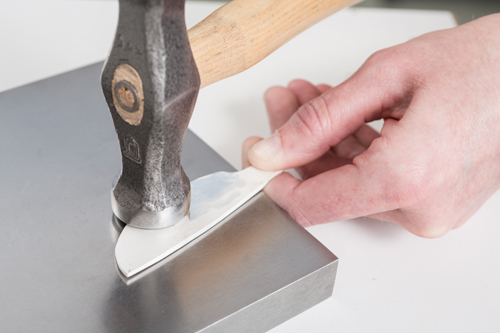 The hammer marks are then removed and the blade edge is honed razor sharp so that it will slice easily and work effectively. 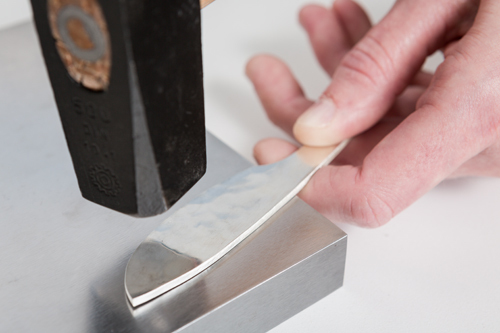 Finally, the entire knife is brought to a high shine on the polishing machine. Polishing is another highly skilled process I will discuss in a future Blog post, so stay tuned. 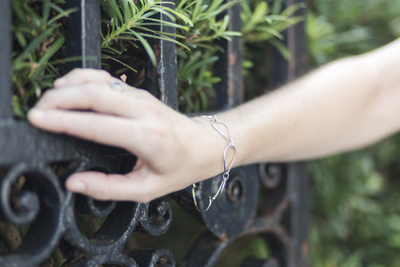 My silver spreader is made the same way, so check out that piece in my website Shop as well! For more information on how I handcraft my designs, visit the Handcrafted Process page on my website. 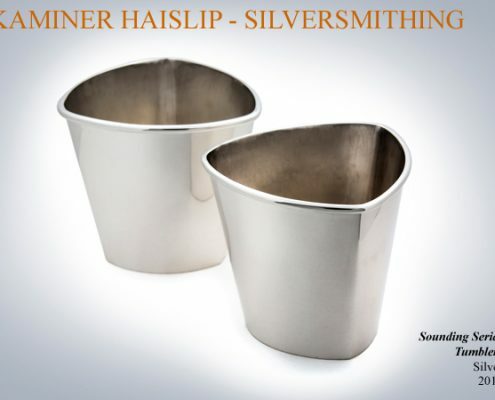 Thank you for your interest in my silversmithing work! 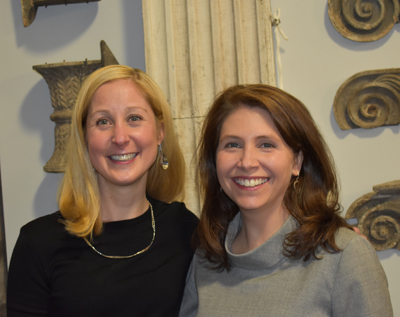 Brandy Culp, the Richard Koopman Curator of American Decorative Arts at the Wadsworth Atheneum, and I have recently given several lecture presentations on Charleston silver, so I was inspired to write a blog post discussing our unique collaboration. 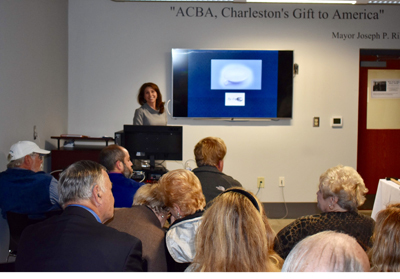 We have presented to private organizations and groups and last week we gave a lecture on Charleston silver for the American College of the Building Arts. The pictures in this post are from that event. When Brandy and I collaborate on a Charleston silver lecture, we begin with her discussing colonial Charleston history and silversmithing. She is an expert in the decorative arts field and in particular metalwork. 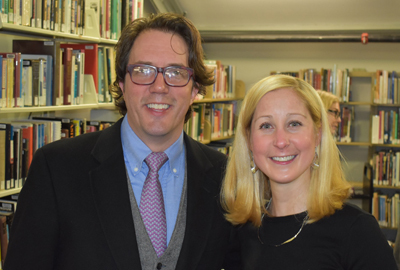 Brandy earned her Master of Arts degree with an emphasis in American decorative arts from the Bard Graduate Center. 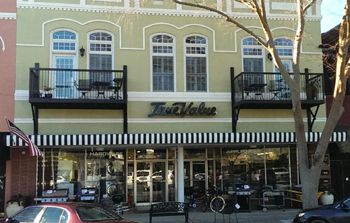 There she completed her thesis on the 18th century Charleston silversmith Alexander Petrie and the Carolina silver trade. 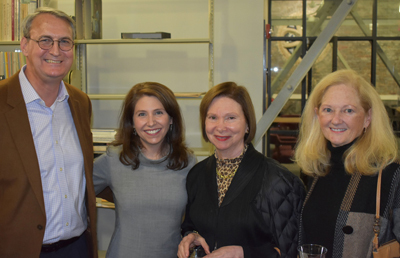 The topic of metalwork remains one of her greatest interests, and she is currently working on a permanent exhibition of the Wadsworth’s English and American silver collections. 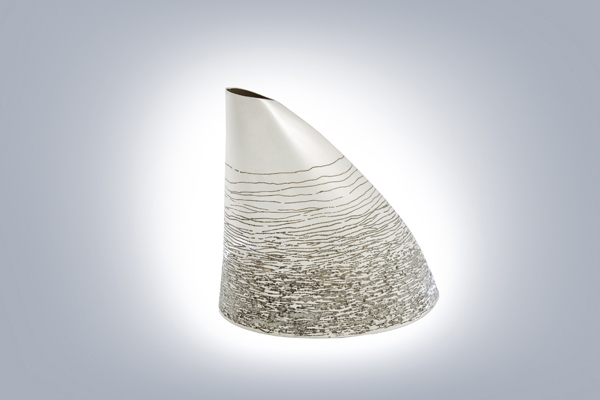 Brandy ties my contemporary silversmithing brilliantly to historic forms and processes. I discuss in detail how I design and create my original, silver designs and use tools and in progress silver items to illustrate the relationship between my silversmithing techniques and past silversmith practices. 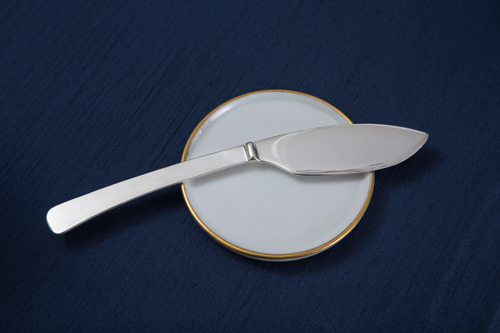 Additionally, I bring a selection of finished silver hollowware, flatware, and jewelry for attendees to see in person during the lecture and up close after our slide presentation is over. We always save time for a question and answer session at the end of our lecture and spend time with guests after the event to take additional questions and socialize. 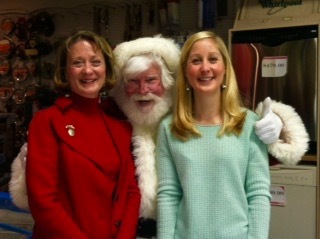 Brandy and I both are incredibly passionate about silver and very much enjoy sharing our silver knowledge. The combination of her historic metalwork expertise and my contemporary silver designs has been extremely well received each time we have done a presentation. If you are interested in having us speak to your group, organization, or college, then please email me at kaminer@kaminerhaislip.com. I can provide details, fees, and press material. Thank you for your interest in silver! 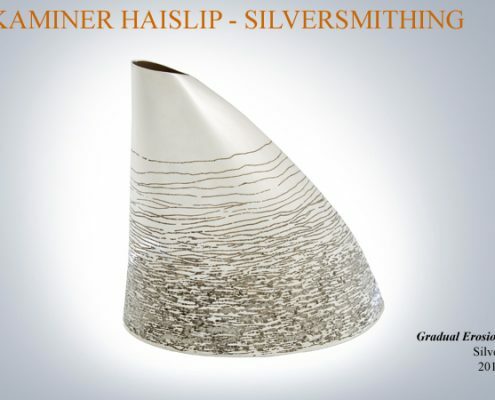 Kaminer Haislip’s silver vessel Gradual Erosion was accepted into the international silver object (no jewelry) exhibition Schoonhoven Silver Award 2018! 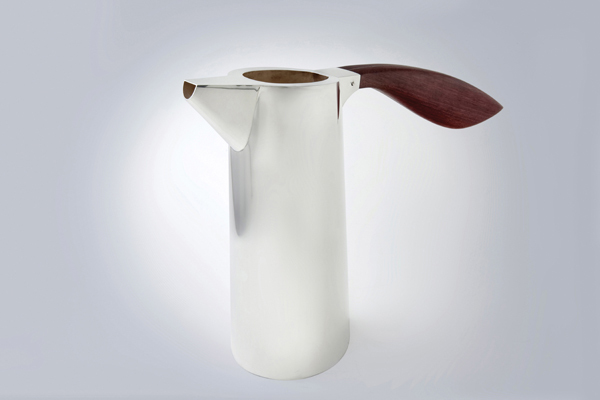 The exhibition is hosted by The Netherlands Silver Museum in Schoonhoven and opened December 7, 2018. Schoonhoven Silver Award 2018 will be on display for three months before traveling to cities in Belgium and Germany until November 2019. 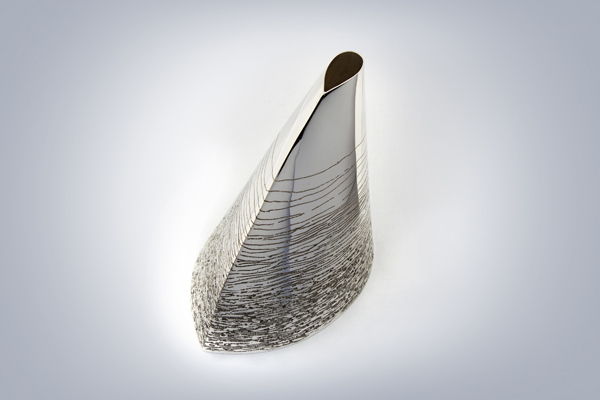 Schoonhoven Silver Award 2018 includes a wide variety of silversmiths from all over the world and its goal was to inspire artists to test and explore the boundaries of their traditional art and craft. The Netherlands Silver Museum sought objects that bear a direct relationship with the museum’s policy of stimulating the exploration of new technologies and uses, and innovative art forms. 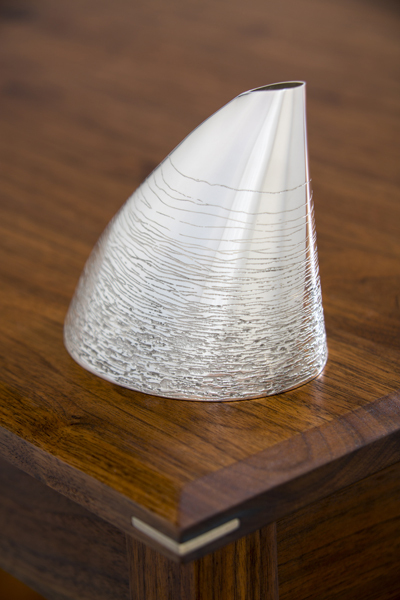 Innovation, as envisioned in the Award’s present edition, centers on the rejuvenation of past, time-honored techniques and on the preservation of this heritage through injecting dynamic new life into the art of silversmithing. 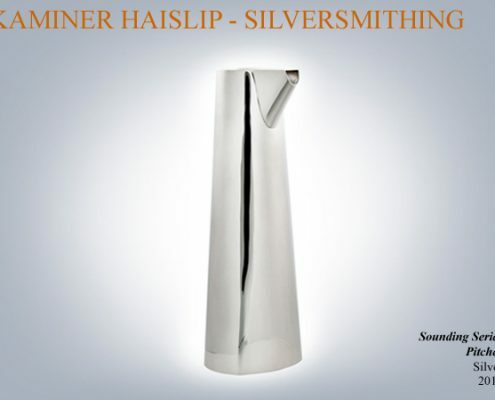 The international Schoohnoven Silver Award exhibition began in 2001 and 2018 is the seventh edition of this unique silversmithing focused exhibition. 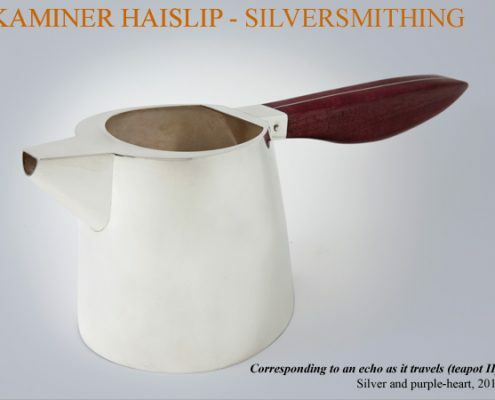 Kaminer Haislip’s silver and ebony teapot Perched Flight was included in the 2009 exhibition Poetry in Silver, so she is excited and honored to exhibit again with her new silver vessel Gradual Erosion. Gradual Erosion is currently available for sale, but will not be available for delivery until after the exhibition travels to two other European countries and ends in November 2019. 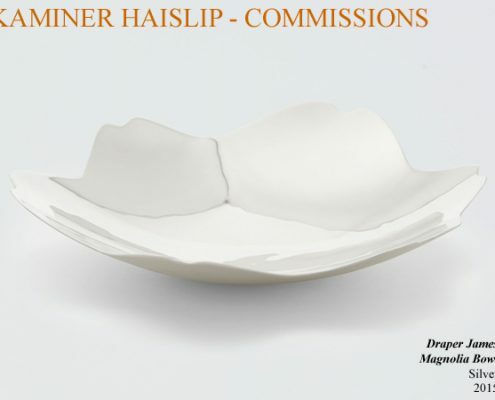 Gradual Erosion will be returned to Kaminer Haislip after the exhibition and you can contact her directly for details at kaminer@kaminerhaislip.com. To learn more about The Netherlands Silver Museum or Schoonhoven Silver Award 2018 visit the two links below. 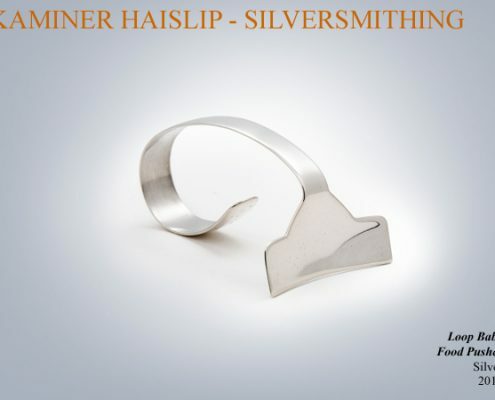 Kaminer Haislip’s silver jewelry, functional objects, and Christmas ornaments will be exhibited for sale at Helena Fox Fine Art for their first Makers Market Friday, November 30 and Saturday, December 1 from 11am-4pm. Shop this special gallery event for unique, handmade holiday gifts! 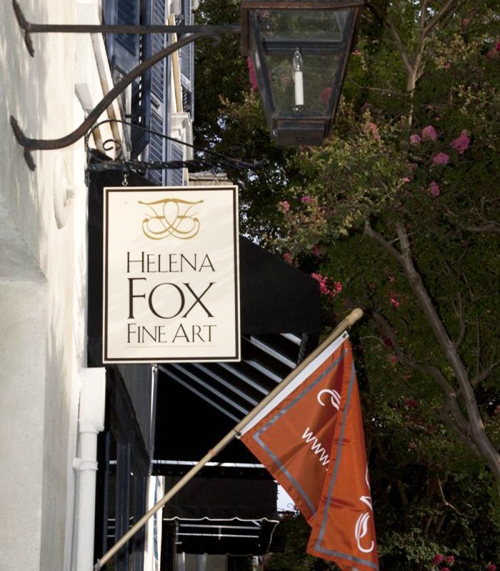 Located South of Broad in historic, downtown Charleston, SC, Helena Fox Fine Art specializes in fine American representational art featuring artists from around the country. 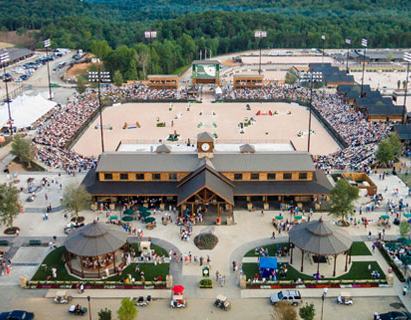 The FEI World Equestrian Games take place in Mill Spring, NC from September 11 – September 23, 2018. 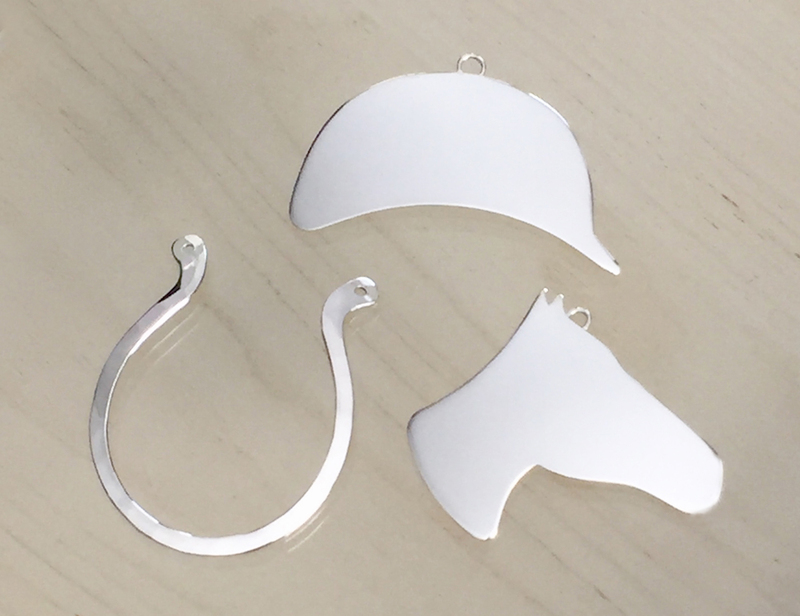 Kaminer Haislip’s silver jewelry and objects will be on display for the duration of the games at Julie Keyes Art Gallery in the vendor village of the Tryon International Equestrian Center. 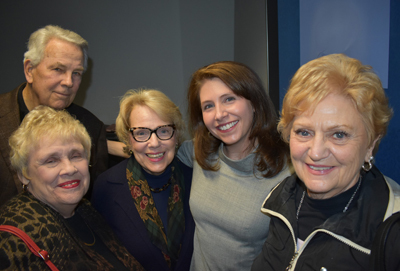 Kaminer will be in attendance at the games to promote her work with the renowned Julie Keyes Art Consulting, located in both The Hamptons and New York City, on Saturday, September 22 and Sunday, September 23. If you are an equestrian enthusiast attending the games, then stop by Julie Keyes’ gallery to see Kaminer’s work along side the blue chip fine art she will be exhibiting! The FEI World Equestrian Games, held every four years in the middle of the Olympic cycle, is one of the biggest events on the global sporting calendar, combining eight equestrian World Championship caliber events in a pre-determined location. The FEI disciplines – Jumping, Dressage and Para-Equestrian Dressage, Eventing, Driving, Endurance, Vaulting and Reining – are all included on the competition schedule, while equestrian-focused demonstrations and exhibitions will also be hosted throughout the duration of the event.